Entity Framework is an Object-Relational Mapper (ORM) development tool, that enables the Software Developer to write less data code faster, and focus more on the software logic instead of the underlying database. 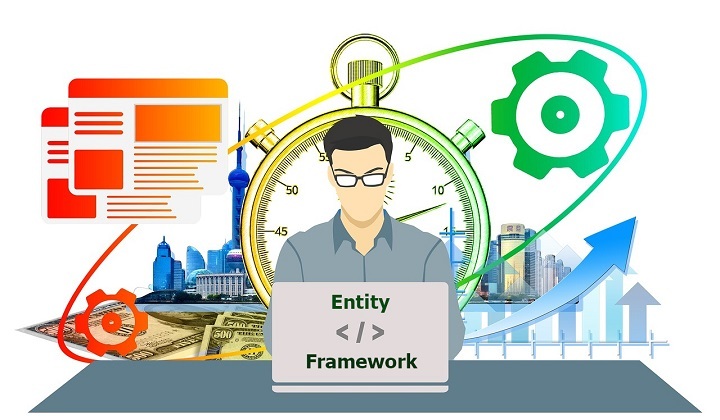 In our course ““Entity Framework: Getting Started (Ultimate Beginners Guide)”, you will learn all about Entity Framework, what it is, how it works, what are its available workflows and their pros and cons. Then, we will jump into a large set of live demonstrations/guides, that show you step-by-step, how you can efficiently build data applications using Visual Studio with C# and the different workflows of Entity Framework such as: Code First, Model First and Database First. You will be able to design .NET data applications much faster and you will be more productive. This course comes with a 30-day money back guarantee. If you’re not satisfied with this course, you can ask for a refund.